The Division of IT provides inexpensive, traditional phone service to UM System, MU, and UM Health Care departments. Choose from a wide variety of features, equipment, and accessories. The Division of IT provides inexpensive traditional phone service to UM System, MU, and UM Health Care departments. Choose from a wide variety of features. Please review our Cordless Telephones and Headsets Policy. If you require specialized phone services or are uncertain of your specific needs, please call Tech Support at 573.882.5000. 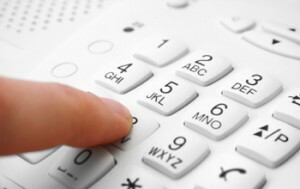 Installation fees and monthly charges apply for telephone service. Basic dialtone is $13.50 per line per month. The telecommunications installation rate is $63 per hour with a one-hour minimum. If there is not a jack available for the installation of the line and wire must be run, there will be an additional charge of $25 per line. Provisioning charges of $15 to change line appearances on a phone will apply. If you will be requesting changes to 21 or more lines, standard labor charges of $63 per hour, with a one-hour minimum, will apply instead. Go to doitservices.missouri.edu to request an Analog Phone Line. Login to the self-service portal with your University user id and password, select Service Catalog, and search for Analog Phone Line. To request MoCode changes to phones, data ports, radios, and any other items billed monthly via Source Code CEQ, complete the account code change form. If you require specialized phone services or are uncertain of your specific needs, call Tech Support at 573.882.5000 for a complete needs assessment.